Carlsbad Caverns has a large natural opening so it was just a matter of time before someone entered and explored the caves within. In this case it was James White in 1898 at 16 years old. He made numerous trips into the caves to explore and for many years he was the only person who knew his way around. 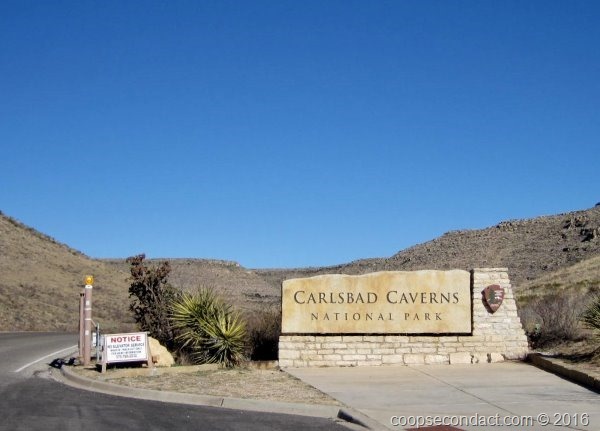 Carlsbad Caverns is not the biggest or deepest of the world’s caves. But it does have the “Big Room” and a dizzying and almost overwhelming array of formations or speleothems, many of them on a scale not often found. About 95% of these formations are dry but there are many areas where water is still dripping down through the roof onto growing formations. 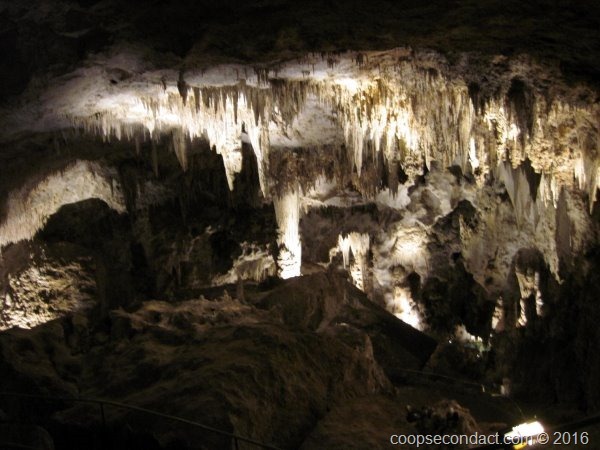 The Big Room is the main feature of Carlsbad Caverns. It is over one mile in circumference, almost 4,000 feet long and 255 feet high at the highest point. The park contains 119 caves, all but 3 of which are not available for public exploration. Lechuguilla Cave with over 120 miles of cave passages mapped, is one of the more recently discovered and is known for its delicate formations and pristine environment. Visitors can walk in through the natural opening and walk down the mile and 1/4 path to reach the Big Room which is 750 feet below the surface. In 1932 they built elevators which were used to take visitors back up to the surface after exploring the Big Room. Those elevators are currently not operating so we had to walk back up to the surface. While in Carlsbad, we also visited the Living Desert Zoo & Gardens State Park. It features a variety of desert wildlife and desert vegetation. The wildlife includes birds, reptiles, mountain lions, bison, pronghorn sheep and a Praire Dog Village most of which were brought here when injured or orphaned.